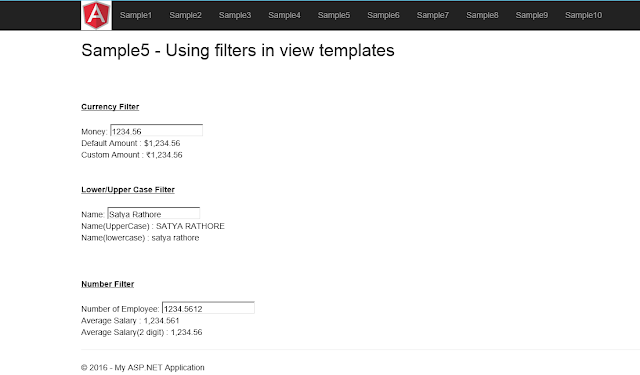 Using Filers we can format the value to display the user. 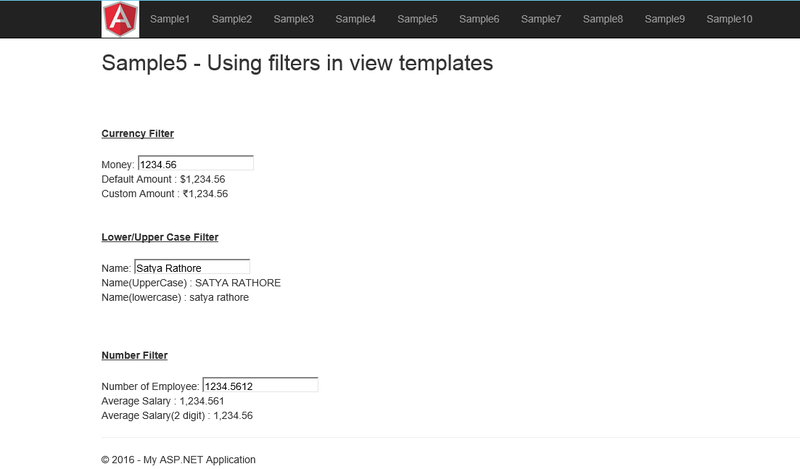 Using filters in view templates. Format a number to currency. Get a subset of items from an array. If you will see the below code snippet we defined the ng-app, ng-controller. As I already describe in first article now there we are using the Currency filter in example and type of currency that will reflect on view. Using of Upper case and Lower case filter. Which will convert your text to upper and lower respectively. 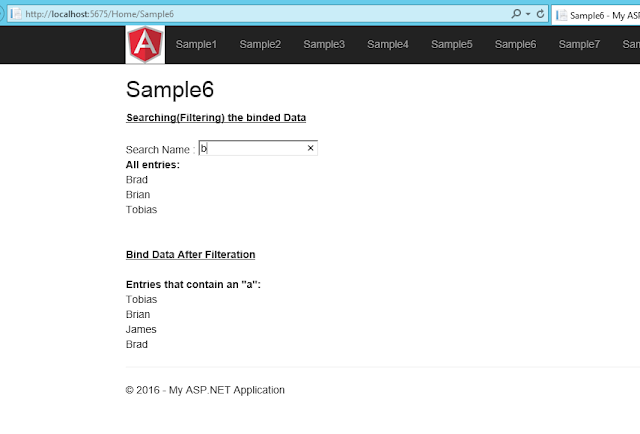 If you will see the code we are getting the data from data base as all records and now we want only few of the records will display on the browser so there we are going to provide the filter so it will filter the records and display into the browser. *Note: you can create your own custom filter also. For click event in angular we are using ng-click and while clicking the event we are increasing the count and showing the alert message with count. It showing the example of two way data binding also. • Form is a collection of controls for the purpose of grouping related controls together. • two-way data-binding by synchronizing the model to the view, as well as view to the model. Placed and make the container for your model and it will be in one form. This form we can use for validation purpose also. There we have master records and on resetting we are resetting the value of inserted value of form. Please see the code snippet based on the operation it will show the message and it will aloow that pattern only for validation ng-show="form.$submitted || form.inpName.$touched"> it email check that form submitted on touched and show the error. 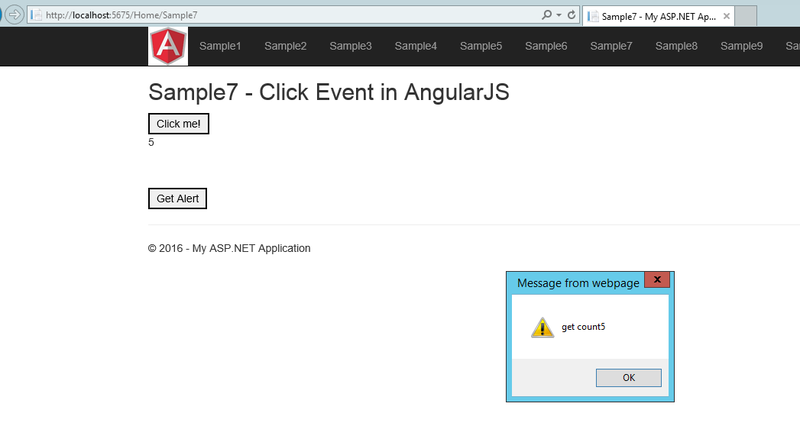 ng-show="form.inpEmail.$error.required" it shows as the field is required and if you not feed any data.